Dr. Wenger himself has great bedside manner and was knowledgeable about my issues however his staff seemed disinterestedat best and I waited about an hour in total. Apparently if you make a same-day appointment (I made an appointment at around 10AM for an appointment at 2PM that same day) they will regard you as a "work-in" as opposed to someone with an appointment and so that was his excuse for my wait time. Though reading these reviews I see that other patients have had similarly long wait times so take that excuse with a grain of salt. Dr. Wenger himself has great bedside manner and was knowledgeable about my issues however his staff seemed disinterested at best and I waited about an hour in total. Apparently if youmake a same-day appointment (I made an appointment at around 10AM for an appointment at 2PM that same day) they will regard you as a "work-in" as opposed to someone with an appointment and so that was his excuse for my wait time. Though reading these reviews I see that other patients have had similarly long wait times so take that excuse with a grain of salt. An avid sports enthusiast, Dr. Scott A. Wenger provides state-of-the-art care for patients suffering from a variety of common traumatic, degenerative, and sports-related conditions. 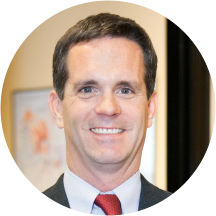 Dr. Wenger combines his training in sports medicine, biology, and general orthopaedic surgery to create a total approach to your treatment. Dr. Wenger’s patients, including children and adults, athletes and non-athletes, all receive the same expert care and personal attention. A native Texan, Dr. Wenger graduated from Southern Methodist University with a degree in Biology before receiving his medical degree from the University of Texas Southwestern Medical School in Dallas. While in medical school, he was selected into the prestigious Alpha Omega Alpha Medical Honor Society. He also completed his orthopaedic surgery residency at the University of Texas Southwestern Medical Center where he trained at the world-renowned Parkland Hospital. Dr. Wenger then traveled to Los Angeles, California, for a sports medicine fellowship at the Kerlan-Jobe Orthopaedic Clinic where he trained under some of the top sports medicine physicians in the country. While at KJOC, he assisted in the care of high school, collegiate and professional athletes including the USC Trojans, LA Lakers, LA Dodgers, LA Kings, Anaheim Ducks, Anaheim Angels, and LA Sparks. Dr. Wenger is Board Certified by the American Board of Orthopaedic Surgery and is a Fellow of the American Academy of Orthopedics Surgeons. He is currently the Head Team Physician for the Westlake Academy Blacksmiths and serves as an Orthopaedic Consultant for the Texas Motor Speedway NASCAR races. He has specialized in the treatment of sports and athletic injuries with a special interest in arthroscopic surgery of the knee and shoulder. His practice includes knee and shoulder repair and reconstruction, cartilage restoration, fracture care, joint replacement, adult and pediatric general orthopedics. Dr. Wenger and his wife, Ginny, have two children - Luke and Adam. He is actively involved with his boys in soccer, swimming, lacrosse and Cub Scouts. He enjoys hiking, cycling, snow-skiing, and spending time with his wife, children, and two dogs. They reside in Southlake. I have been to several knee doctors over the past 30 years and I learned more today about my knee and my knee issues and treatment options than I ever learned in the past. He was excellent and helped me map out a treatment plan for the next several years. Super nice staff and Doctor. He is always patient and answers all my questions. He spends time with his patients and is very caring and concerned about their needs. Dr. Wenger has been truly a blessing and I would highly recommend him. Dr. Wenger was very knowledgeable and compassionate. He made me feel better before I had even left the office! I highly recommend Dr. Wenger to anyone with a sports injury! Always a pleasure. Dr Wenger is friendly and has helped me greatly in my shoulder repair and post op. This is the second issue I have seen him about and both times he was able to diagnose and treat me very well. He is great and knows his stuff!!!! Highly recommend him to anyone needing orthopedic assistance. Super sweet, explained everything and answered all questions to where I understood! Love the entire staff front & back!! I am very satisfied that Doctor Scott Wenger answered all my questions and make appropriate recommendations for my treatment. I was pleased with my apointment with Dr. Wenger. His staff was excellent. They were efficient and very friendly. Dr. Wenger had an excellent bedside manner and was very easy to talk to about my medical problem. He answered all of my questions in a friendly and understandable way. As always, the staff and the doctor were fantastic. The friendliness and professionalism is always at the highest of levels. Thanks again for a successful surgery and wonderful experience overall. Above expectations. Knowledge, friendly, down-to-earth. He is Great, already recommended to others. Everything about him was great. I wish ALL Dr's would be like him. Dr. Wenger explained things clearly and thoroughly. He is very personable and I would not hesitate to recommend him. Occasionally, I have to bring my 84-year old Mom in for steroid shots in her shoulders. Dr. Wenger is also so sweet and gentle with her, and also likes to kid around with her, too, which she loves. He's a gem. Extremely polite, but personable. Great attitude and very encouraging. Will recommend all friends to go to him for treatment if needed. Thanks for your help. By the way, You have a fantastic staff.!!! Great information provided by Dr. Wenger and his staff. Answered all my questions and made me feel much better about the surgery on my knee. Even gave me a wonderful referral for my back issues as well. Thanks Doc!! Dr. Wenger was outstanding in his treatment. He explained what he thought was going on and presented me with my options and then treated me. It was an all around pleasant experience. I got right in and didn't wait any time at all for the doctor to come in. Staff was wonderful and professional yet friendly. I highly recommend this place. You don't feel like a number there, Places like this are hardto find. Dr. Wenger is great. I trust him completely! Dr. Wenger is very nice and took the time to listen to my concerns. He presented the best treatment option for me and I was in and out in less than an hour. The office staff is very nice and makeit easy to check in! Dr. Wenger's nurse was not the nicest, but maybe I just caught her on an off day. Great doc. Got immediate relief from my knee pain. Dr Wenger always takes the time to explain my options and his recommendations. I never leave confused about the next step. Great doctor, has helped with my knee .caring, personal, and just nice person. Wait times need to be improved. I live in Denton county and Dr. Wenger is worth the drive time. Dr Wenger I'd very thorough, explains everything. He is very kind, and listens to you. Energetic and knowledgeable. Explained my situation well. Very impressed. Love the doctor; hate the wait time. Doctor Wagner was absolutely wonderful explained everything and wait time was minimal. I highly recommend. I've seen Dr. Wenger for the past 4 months for my injury. It was such a nerve-racking experience trying to choose a surgeon but I'm sure I made the right choice. Dr. Wenger and his staff have been great every timeI've seen them. From the front office staff to the x-ray tech everyone's friendly, polite and helpful. Someone from the finance/billing department walked me through ALL of the charges and fees that might come from all parties involved and how my insurance would deal with them. I knew exactly what I was going to be paying out of pocket before I every had the procedure! Everyone who sees my scar and x-rays tells me it looks great and I found a great surgeon. I couldn't agree more! Thanks Dr. Wenger and staff for taking such good care of me! My visit to Dr. Wenger's office was comfortable, informative, efficient, and encouraging. Dr. Wenger was professional and friendly. Instructions were clear and all questions were answered. Dr. Wenger was very prompt and friendly. He answered all my questions and provided clear instructions for my continued recovery. Dr. Wenger is very professional and explains everything very clearly. He listens well to questions and is honest in his answers. But I leave thinking he's not only my doctor but my friend! Barbara S.
Dr. Wenger was very personable and friendly. He answered all of our questions and gave clear instructions for post surgery care and my next scheduled appointment. Since I've been going to the Fort Worth office, the wait time has been very short. Regardless, Dr. Wenger has been very friendly at every visit, yet also very professional. He takes time to connect with you and ensure that youhave all the information you need. I highly recommend him! I think he is a fine doctor and he listens well. The only problem I have is that I do not like getting a script through a pharmacy provider. It wastes a lot of time in my opinion. In fact, Istill have not gotten my script filled and still in the process of contacting the doctor's office to get a written script so I can fill it on my own. I personally referred several co workers to Dr. Wenger. I like that he takes the time to explain things to you, gives you options, and offers what he feels is the best treatment plan....no question is left unanswered, and he seemswilling to address one's concerns. You never feel rushed through or just a number while in his office. Dr Wenger and his staff have been outstanding from my first visit several months ago to my last appointment yesterday. I highly recommend him! I really like Dr. Wenger, great Doc! Very easy to talk to...very patient. Would recommend to others. I have known Dr Wenger close to 5 years. He fixed my shoulder (rotator cuff) and recently a torn tendon in my knee. His bedside manner is wonderful, his staff is also fabulous. If you need surgery, I highly recommend Dr. Wenger! On Sept 2nd I called to cancel my appointment because of a misunderstanding by email about the office location and the office staff assured me that my appointment was indeed at the Westport office which is quite near to my home.I am happy that I kept my appointment because I had injured my hand the night before at a store and Dr Wenger took time to examine the wound and have his nurse apply antibiotic ointment, recommend home treatment and contact my primary care physician's office for a referral for a test to determine what was causing pain in my wrist and hand since steroid injections in the carpal tunnel did not lessen the pain and numbness in my hand. Eleanor S .
I have seen Dr. Wenger at lest three (3) times now. Always a pleasant visit. Always takes great care of me, as does his staff. He is extremely professional and friendly. He has your best interest in mind. Hopefully I'll never have to see him again, but if I get injured (again! ), he is the one I will go see! !